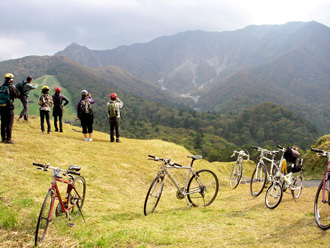 The tour goes from 850 meters above sea level to the altitude 300 meters. Recommended for the beginners and first-time travelers to Mt. Daisen. Experienced guide will take you to popular tourist spots and beautiful country winding road. Snowshoeing gains popularity as winter exercise in Mt. Daisen. 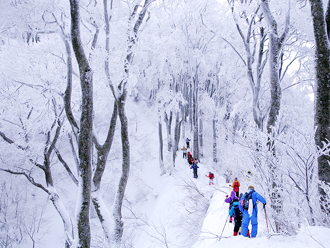 It gives you an opportunity to go into winter wilderness and experience the cool stillness of the beech forest.